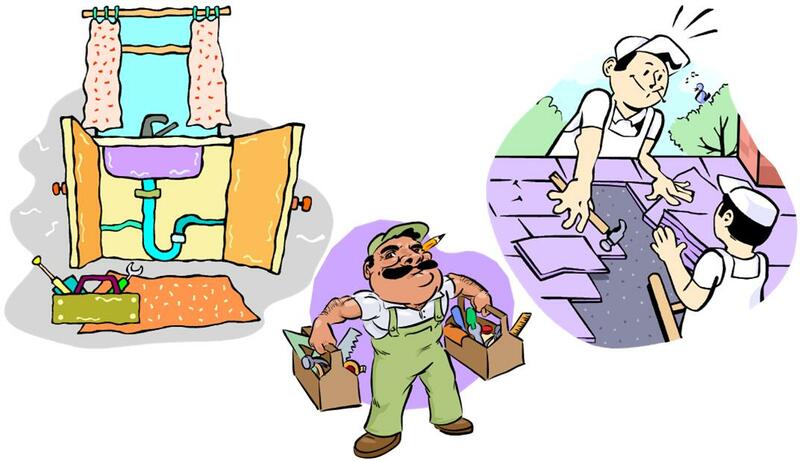 Real Estate Tips: Home Repairs or Remodeling in Your Future? If the answer is yes, then here are some great questions to ask your contractor to insure a successful project. Is a building permit required for this work? Do I need to obtain one or will you? Have you detailed the scope of the project and all anticipated costs as part of my written bid? Have you included written specifics about the type of lumber and materials that will be used in my project? Will my project impact any underground utilities, i.e. telephone, cable or gas lines? If so, will you take care of locating them? Where will my construction materials be stored during the project? Who is responsible for clean-up during or after the project is completed? What deposit is expected prior to the start of the project? Will any materials be delivered early? If so, we you be there for the placement of the materials? Will you provide me with written information about your contractor’s license, general liability insurance and worker’s compensation insurance? Will you provide me with business references (suppliers, code officials, etc…) and current, recent and past (2+ years) customer references for projects similar to mine? Do you offer a warranty on your services? If so, will you provide me written information about the warranty and for how long it’s covered? This entry was posted in Belmont - NC, Business, Business - International, Buyers, Cabarrus County - NC, Charlotte - Center City, Concord - NC, Cornelius - NC, Davidson - NC, Denver - NC, Fort Mill - SC, Gaffney - SC, Gaston County - NC, Gastonia - NC, Hickory - NC, Huntersville - NC, Iredell County - NC, Kannapolis - NC, Lake Living - Lake Norman - NC, Lake Living - Lake Wylie - SC, Lake Living - Mtn Island Lake - NC, Lee Ann Miller Team, Lincoln County - NC, Lincolnton - NC, Mecklenburg County - NC, Mooresville - NC, Mount Holly - NC, North Carolina, Pineville - NC, Real Estate - Buyers, Real Estate - Home Ownership, Real Estate - Sellers, Rock Hill - SC, Sellers, Sherrills Ford - Nc, South Carolina, Statesville - NC, Troutman - NC, University City - NC, Weddington - NC and tagged Helpful Tips, Lee Ann Miller Team, Real Estate - Tips by Lee Ann Miller. Bookmark the permalink.